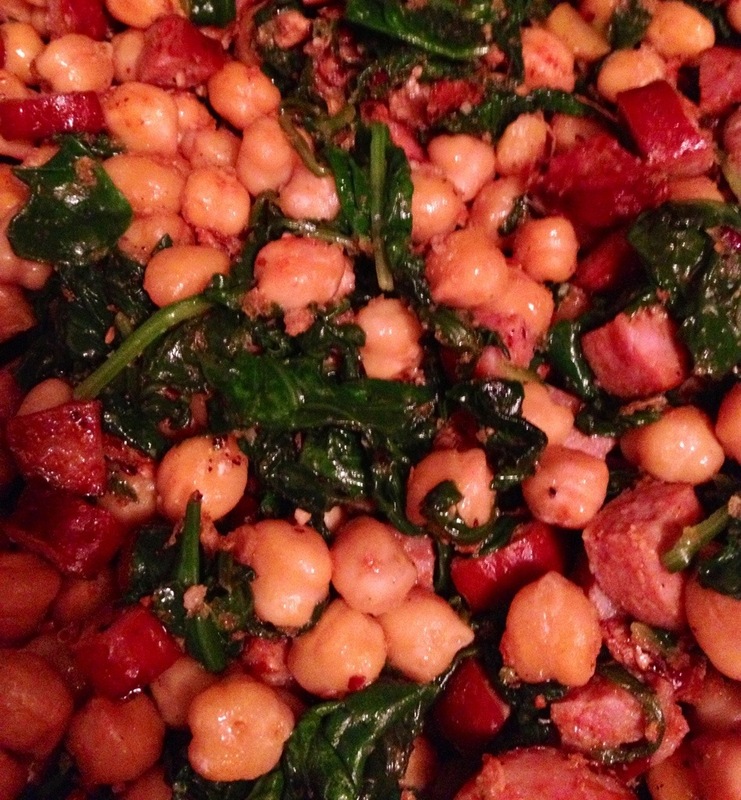 So chorizo is amazing – I’m constantly craving it, and also constantly looking for new recipes that incorporate it. 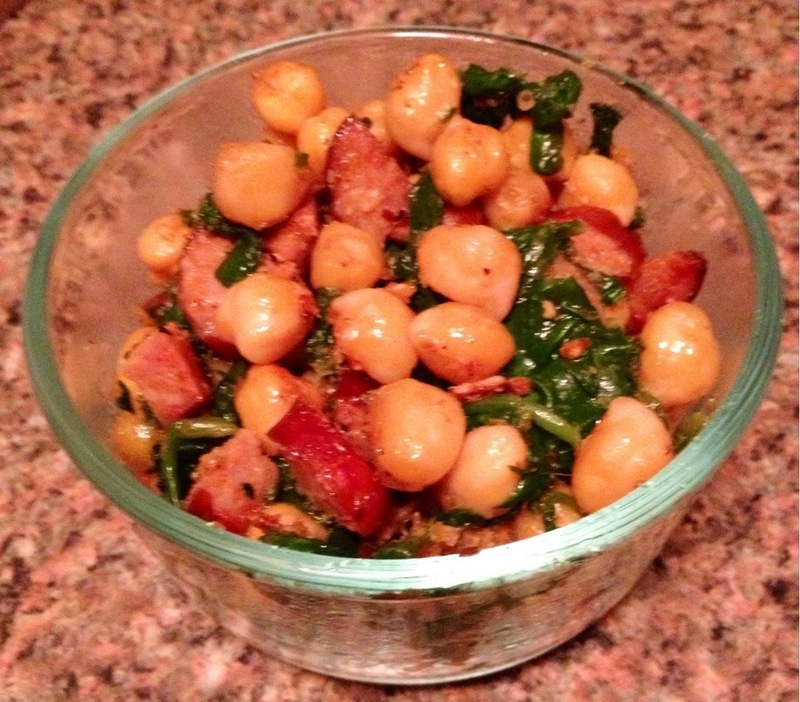 I’d also bought spinach, so googling the two led to this recipe from the New York Times which also featured chick peas. I only had dried chick peas, so this recipe was a while in the making: one night I soaked them, the next night I cooked them. Then finally I was ready to use them! – Add everything together and then add in bread crumbs – I used crunched up Mary’s Gone Crackers, which I should really add to My Favorite Substitutions because it’s really amazing. The result was delicious, as affirmed by an impromptu dinner guest!